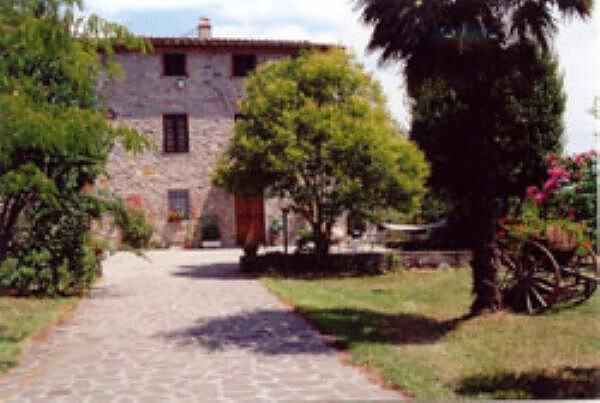 This Self Catering Holiday apartment is in our recently restored old Tuscan Farmhouse. In linewith local style, all the rooms have ceilings with wooden beams and terracotta tiles. Some of the old stone- and brichwork can be seen. Our garden and pool are available for guest use. Our house is a few miles from Lucca in the green of the Tuscan countryside. The village is S.Ginese di Compito and the adress is Via Centoni, N° 14. The town of Lucca, with its famous ring of walls, can be reached in a quarter of an hour. The motorway, which is close at hand, brings you in less than an hour to the artistic treasures of Pisa, Florence and Siena. The rolling hills of Chianti country and the Etruscan town of Volterra can also easily be reached. For rest days, there are many interesting excursions locally - on foot or by bike - to explore the Bientina marsh with its interesting birdlife, or the Pisan hills. The Appuan Alps, with their spectacular summits and historic marble quarries are less than an hour away, whilst on the other side of the Garfagnana valley there are the more gentle slopes of the Appenines. For those who prefer the sea, the riviera is half an hour away at Viareggio, whilst the wilder coastline of the Cinque Terre is only a little further afield.